U.S. Citizenship and Immigration Services (USCIS) would like to invite you to attend a stakeholder call to discuss USCIS processing of Ethiopian adoption cases which the U.S. Embassy in Addis Ababa is referring to USCIS as "not clearly approvable". Recently, the U.S. Embassy in Addis Ababa, Ethiopia, has identified a number of adoption petitions (Form I-600, Petition to Classify Orphan as Immediate Relative) that it has determined are not clearly approvable (NCA), and thus, must be referred to USCIS for adjudication. USCIS would like to explain what “not clearly approvable” means and how the processing of such cases will unfold once the cases are referred to USCIS. Any interested parties may participate in this event by telephone. All participants must respond to this invitation. Please contact the USCIS Office of Public Engagement at public.engagement@dhs.gov by Thursday, October 27, 2011 referencing “Ethiopian Adoptions” in the subject line of your email. Please also include your full name and the organization you represent in the body of the email. Once an RSVP email has been received, USCIS will provide you call-in details. On September 21, USCIS National Benefits Center (NBC) invited interested parties to participate in a national stakeholder meeting to discuss steps that should occur with USCIS after a family returns home to the United States with their adopted child. USCIS has published a power point of the issues covered. The information may be helpful to prospective adoptive parents in preparing for adoption. Ethiopian government officials confirmed the closure of several orphanages in the Southern Nations state due to revocation of the orphanages' operational licenses. Each orphanage in Ethiopia receives an operational license that the Charities and Societies Administration administers and monitors to ensure compliance with Ethiopian regulations. This is an update to the previous Adoption Notice posted on August 3, 2011. According to officials in the Charities and Societies Agency office, which oversees the licensing and regulation of orphanages in Ethiopia, the children in the care of those facilities have already been transferred to other orphanages. Ethiopian officials indicate that cases involving orphaned children from these facilities which are already pending with the Federal First Instance court will continue to move forward. The Embassy in Addis Ababa is working closely with Ethiopian officials to determine if children from these facilities who had been previously referred for matches will be allowed to continue in the adoption process. Regional officials have confirmed that the affected children's case files are currently being reviewed on a case by case basis by regional Ministry of Women's Affairs offices. We continue to ask prospective adoptive parents and agencies that are hearing news of specific closures to inform the Department. Please send any specific information regarding orphanage closures to AskCI@state.gov with the subject line "Ethiopia Orphanage Closures." Prospective and adoptive parents are encouraged to remain in contact with their adoption service provider to stay up-to-date on any information pertinent to their individual case. The Department will post any confirmation on www.adoption.state.gov as we receive it. 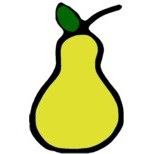 **PEAR has added information on whether each organization is a new applicant, is seeking renewal, or has been previously denied accreditation. 311 Maple Avenue W, Suite E.
It would be useful if the FBI and Interpol took a good look at the Western organizations that worked with these homes. Some background to the TDH/Image Ark documentary Paper Orphans. For background to the documentary, see the following links. DOS Adoption Notice: Mexican Central Authority Grants National Authorization to an Additional U.S.-based Hague Accredited Adoption Service Provider. Notice: Mexican Central Authority Grants National Authorization to an Additional U.S.-based Hague Accredited Adoption Service Provider. The Mexican Central Authority recently granted national authorization to provide adoption services in Mexico to an additional U.S. based Hague accredited adoption service provider, Across the World Adoptions, bringing the total of authorized U.S. based providers to three. It is our understanding that U.S. based adoption service providers Carolina Adoption Services, Inc. and International Child Foundation have also received national authorization from the Mexican Central Authority. Because this information is subject to updates, we encourage prospective adoptive parents to check the authorization status of an adoption service provider with the Mexican Central Authority before initiating an adoption. The Mexican Central Authority publishes information about the intercountry adoption process as well as contact information on its website. We remind U.S. citizens wishing to adopt in Mexico that Mexican states may choose whether or not to work with adoption service providers that have achieved national authorization. Please see our May 19, 2011 adoption notice regarding Mexico's process for authorizing U.S. adoption service providers for more details. Mexico's complex system for intercountry adoption is described on our Mexico country information sheet. Working with an adoption service provider that has received only state authorization (and not national authorization) may cause the case to go through a verification process at the national level, delaying the adoption and possibly resulting in the Mexican Central Adoption's refusal to issue Hague certifications that are required for visa issuance. We will publish additional updated guidance as we receive it. If you have any further questions please write to us at adoptionUSCA@state.gov or call us at 1-888-407-4747. In January,April and September, 2011, the U.S. Embassy in Addis Ababa, the Office of Children’s Issues of the Department of State, and the Department of Homeland Security U.S. Citizenship and Immigration Services (USCIS) conducted public meetings for adoption service providers (ASPs), adoptive parents, and other stakeholders to address concerns about the quality and completeness of intercountry adoption cases presented in Ethiopia. To ensure prompt adjudication and avoid concerns about possible malfeasance, it is important that I-600 petitions (Petition to Classify Orphan as an Immediate Relative) and accompanying evidence be fully and carefully prepared before presentation to the Embassy. Approximately 80% of I-600 petitions submitted to the U.S. Embassy in Addis Ababa in recent months were incomplete, contained inconsistencies or errors, or did not contain sufficient evidence to document the child as an orphan under U.S. law. In addition, the Embassy continues to see cases which involve abandoned children but do not include sufficient evidence to document the abandonment and/or evidence of appropriate efforts to locate a child’s birth family. The Embassy also has received evidence of unethical recruitment of children from birth relatives and cases involving known birth parents from whom parental rights have not been severed by the Ethiopian courts. In these cases, consular officers in Addis will need to take additional measures to confirm that a child meets the legal definition of orphan, which could delay processing by several months. The Department of State and USCIS remind all families interested in adopting from Ethiopia that consular officers are required to forward any I-600 petition that is not “clearly approvable” to the USCIS Field Office in Nairobi for adjudication. It should be noted that, although this update specifically addresses I-600 petitions filed with the U.S. Embassy in Addis Ababa, USCIS sees similar problems with I-600 petitions filed with the USCIS National Benefits Center (NBC). Families can contact NBC at NBC.Adoptions@dhs.gov. If families have concerns about their adoption, we ask that they share this information with the Embassy, particularly if it involves possible fraud or misconduct specific to their cases. The Embassy takes all allegations of fraud or misconduct seriously. The best way to contact the Embassy on issues related to adoption is by email at ConsAdoptionAddis@state.gov. Please include your name, your child's name, your adoption agency, the date of the adoption (month and year), and, if possible, the immigrant visa case number for your child's case (this number begins with the letters ADD followed by several numbers and can be found on any document sent to you by the National Visa Center). Please let us know if we have your permission to share concerns about your specific case with Ethiopian government officials and any other person or entity. If your agency is a Hague-accredited adoption service provider, you may file a complaint on the Hague Complaint Registry located at the link below. While Ethiopia is not a Convention country, the ASP’ practice in a non-Convention country may impact its substantial compliance. http://adoption.state.gov/hague_convention/agency_accreditation/complaints.php The U.S. Embassy continues to work with the Government of Ethiopia to ensure that appropriate safeguards exist to protect prospective adoptive children, their birth parents, and prospective adoptive parents. We encourage prospective and adoptive parents to remain in contact with their adoption service provider to stay up-to-date on any information pertinent to their individual case. The Department will post relevant information on www.adoption.state.gov as we receive it. This is an update to our notice dated July 22, 2011 announcing a temporary suspension on the acceptance of new intercountry adoption cases in India. CARA informed us that they will not accept new adoption applications until December 31, 2011. CARA is giving priority to processing applications started before the release of the new guidelines before accepting new applications. We will update the notice promptly once CARA notifies us when they are ready to receive new applications. CARA's latest announcement reiterated that all dossiers must be forwarded to CARA under the new guidelines. CARA will no longer accept any dossier through a RIPA. The Council on Accreditation (COA) has announced that effective October 2, 2011 it has terminated the suspension of the Hague accreditation of Saint Mary International Adoption that was imposed effective August 27, 2011. Saint Mary International Adoption completed its corrective action plan to COA's satisfaction and COA has determined that Saint Mary International Adoption is now in substantial compliance with applicable U.S. accreditation standards. Saint Mary International Adoption may resume providing adoption services in Hague Adoption Convention cases as of October 2, 2011. If you have further questions, please contact Miki Stebbing, the Accrediting Entity Liaison, who may be reached at (202) 736-9119 or by email at StebbingMD@state.gov or LaTina Woolen, who may be reached at (202) 663-3119 or at WoolenLA@state.gov in the Office of Children's Issues. The Council on Accreditation (COA) has announced that effective September 27, 2011, it has terminated the suspension of the Hague accreditation of Joshua Tree Adoptions Inc. that was imposed effective August 27, 2011. Joshua Tree completed its corrective action plan to COA’s satisfaction and COA has determined that Joshua Tree is now in substantial compliance with applicable U.S. accreditation standards. Joshua Tree may resume providing adoption services in Hague Adoption Convention cases as of September 27, 2011. If you have further questions, please contact Miki Stebbing, the Accrediting Entity Liaison, who may be reached at (202) 736-9119 or by email at StebbingMD@state.gov or LaTina Woolen, who may be reached at (202) 663-3119 or at WoolenLA@state.gov in the Office of Children’s Issues.